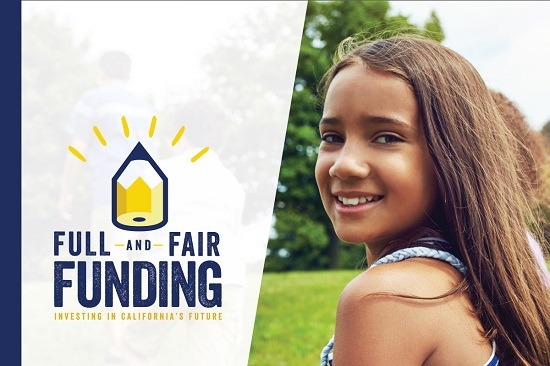 The report provides ample support for CSBA’s call for Full and Fair Funding of California’s public schools, which are currently ranked in the bottom 10 nationally in several key categories. The research methodology for the report goes far beyond a mere comparison of per-pupil funding to provide context such as the socioeconomic status of a district’s students, the labor market in which it is located and district size. Weighing these factors controls for variations in student poverty rates, regional wage variation and population density. Adequacy: does the state provide enough resources to districts relative to other states or to common outcome goals (such as test scores)? Progressivity: does the state allocate more resources to districts serving larger numbers of disadvantaged students? Though national in scope, the following data from California shows how far the state has to go to provide equitable opportunities for its 6.2 million K-12 public school students. California ranks 41st in the total value of its economy invested in K-12 education and sits well below the national average. The report measures adequacy by looking at what a state is spending on its schools compared to other states and comparing that to the estimated spending level that would be required to achieve national average test scores in the previous year. The estimates come from the National Education Cost Model, which uses test result data across states and calculates adjusted spending by poverty level. In this measure, California is ranked 48th among all states, only outranking Mississippi and Arizona. The money spent in high-poverty districts is a small fraction of what is required for those students to perform at national average levels. A progressive school funding system spends more on districts with more disadvantaged students than those without. Due to the Local Control Funding Formula, California performs much better on this measure, ranking 10th when compared to other states. California’s progressivity rating shows that its funding system is on the right track when it comes to the way in which it spends money funding education — that is, allocating more money for districts with higher numbers of disadvantaged student groups. However, there is simply not enough money to support all students — especially those at high poverty levels — in attaining optimal outcomes. Join CSBA’s call for the Legislature to raise school funding to the national average by 2020 and to the average of the top 10 states by 2025. Learn more about Full and Fair Funding and sign the petition here.